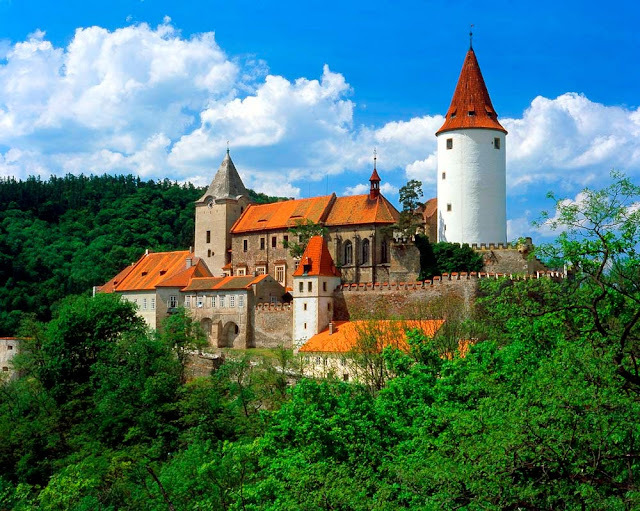 The castle of Křivoklát belongs to the oldest and most important castles of the Czech princes and kings. The history of its construction starts in the 12th century. During the reign of Přemysl Otakar II. a large, monumental royal castle was built to be later rebuilt by king Václav IV. and even later generously enlarged by king Vladislav of Jagellon. The castle of Křivoklát was seriously damaged by fire several times. It became a feared prison and its importance sank rapidly. First during the Romantic époque of the 19th century (when under rule of the family of Fürstenberg that owned the castle until 1929) the castle was reconstructed - and saved.